The Model 2020-2F Kit includes SOTAR 2020-2F with an extra fine needle; The fine (black) needle / nozzle will spray a "Hair? line to 3/4-inch (19 millimeter) spray pattern The Sotar the 2020-2, designed with the a 1/12 ounce color cup allows for extended use before having to add color, is perfect for intricate detail work; the ideal airbrush for fine and commercial artists. The SOTAR 20/20 airbrushes can spray finely pigmented, properly reduced paints, water colors, inks, dyes, and low viscosity acrylics. Gravity feed, dual action, internal mix airbrush; The SOTAR was designed by an elite team of professional artists and illustrators. 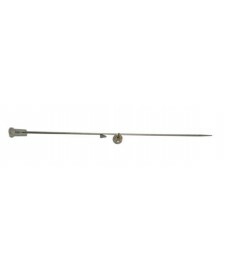 Micrometer setting allows user to preset desired spray pattern; Multi patented design including rear needle release. 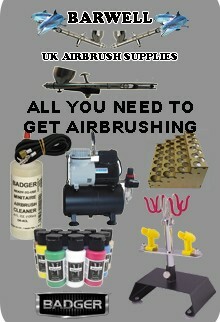 Badger Airbrushes are American Made. One year warranty on mfg defects.